Drink-driving in Italy is an offence punished with contravention, and of competence of the Court in monocratic composition, in accordance with articles 186 and 186 bis of the Traffic Code. The state of drunkenness is characterized by a psycho-physically altered condition which may cause misperception of the reality, reduced intellectual capacity and reflexes slowdown. - electronic breathalyser (alcohol test), it assesses the blood alcohol quantity, which is measured in g/l. - blood sample, at the hospital, without needing consent by the offending party. - between 0 and 0,5 g/l, no penalty is charged. This limit applies only for novice drivers under the age of 21, for the first three years from achievement of driving licence. For these individuals, the offence will be charged with payment of a fine ranging between Euro 164 and Euro 663 and reduction of five points on their driving licence. - between 0,5 and 0,8 g/l (MILD HYPOTHESIS), not punishable in terms of criminal law and only subjected to administrative penalty of payment of an amount of money ranging between € 531,00 and €2.125,00, in addition to suspension of driving licence for a 3- up to 6-month period. - between 0,8 to 1,5 g/l (MEDIUM HYPOTHESIS), penally charged with a fine ranging between €800,00 and €3.200,00 and imprisonment up to 6 months. The accessory administrative penalty of suspension of driving licence for a six-month up to one-year period follows the ascertainment of the criminal offence. - more than 1,5 g/l (SERIOUS HYPOTHESIS), it involves a criminal penalty of payment of a fine ranging between Euro 1.500 and Euro 6.000 and imprisonment for a period between 6 months and 1 year. In any event, the accessory administrative penalty of suspension of driving licence for a 1- up to 2-year period follows the ascertainment of the criminal offence. In this latter case, the judgement of conviction or application of penalty upon parties' request, even if penalty conditional suspension has been granted, confiscation of vehicle with which the offence has been committed is still arranged, except where the vehicle belongs to an individual not involved in the offence. Italy's drink driving laws envisage an aggravation of penalties and fines in case the drunk driver provokes a car accident. In this case, penalties will be doubled and, unless the vehicle belongs to an individual different to the driver, it will be subjected to 180-day administrative lock. In addition to the above, there is the aggravating circumstance of drunk driving during night hours, that is between 10 pm and 7 am. If the driver of a vehicle is asked by the Police to undergo drunkenness state assessment check, he shall be informed of his right to be assisted by a trusted lawyer, otherwise the undergone checks and alcohol test, which has been performed as an urgent and not deferrable act, would be null. - the driver, with alcohol level superior to 1,5 g/l or under drug influence, has caused a car accident. 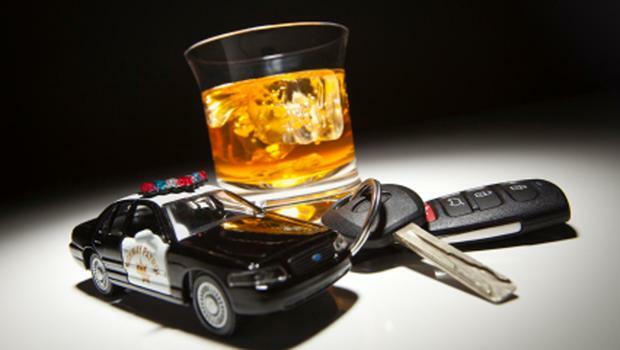 Once the drink-driving offence has been verified, the Public Prosecutor generally submits to the Judge for preliminary investigation a request for issuing a decree of criminal conviction (which only involves a financial penalty). In the majority of cases, when decree procedure is initiated, it is the Public Prosecutor who submits a request for a series of advantages to be recognized to the offender, as for instance conditional suspension of penalty and omission of conviction in the criminal record. The individual who has been notified by criminal decree of conviction for drinking and driving shall lodge a statement of opposition within 15 days. Statement of opposition may be lodged by written act before the Judge for Preliminary Investigations who has issued the decree. When a criminal conviction decree is not opposed, it is equivalent to a conviction judgement and becomes final and irrevocable. - submitting a request of suspension of procedure with testing, which involves undertaking adequate activities of social nature. The positive result of testing extinguishes the offence. The programme drafted by the UEPE (en. External Criminal Enforcement Office) shall be attached to the request of testing. Do you wish to receive further information on penalties and possible appeals for the offence of drink-driving in Italy? Contact us.